List of High Paying Jobs in Nigeria for Non-graduate. 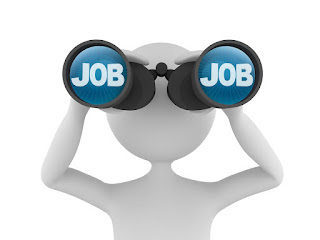 Are you looking for a well-paid job in Nigeria for non-graduates? If so, there are a significant number of the highest paid jobs in Nigeria and for this reason, many Nigerians are trying to find the highest paid jobs in the country. Most of the highest-paid jobs in Nigeria for non-graduates often require creative skills and technical expertise. In Nigeria, professional acting is undoubtedly one of the surest ways to hit the jackpot. However, it isn’t a child’s play to become a prominent and high-earning actor in the country probably because the Nollywood industry is filled with thousands of stars. After Hollywood and Bollywood, Nollywood arguably sits in the third position amongst the world’s largest movie industries. Obviously in Nigeria, some Nollywood actors have sideline jobs probably because acting is not their major source of income. Meanwhile, those who earn big are the high-profile Nigerian actors who have made Nollywood their major source of income. Most locally based Nigerian footballers earn a decent salary while the international and worldwide known stars earn up to 130 million Naira weekly. In Nigeria and any other place in the world, sailors definitely feature amongst high-earning professionals due to the great expertise and caution it requires to sail a ship. Owing to this, Nigeria has a low crew of sailors than the country actually needs. Currently, everything is done literally online, high-level technology programmers earn a lot of money from their work, which involves creating software, applications, website designs etc. A good programmer will comfortably earn millions a month without too much stress. Nigerian musicians earn a lot of money these days from different endorsement deals, tours and shows. Most of them live a flamboyant and outlandish lifestyle because of how much they earn. Some Nigerian celebrities can charge as high as two million naira just for a few minutes performance at an event.